Today is International Women’s Day, so we thought we’d interview one of the hardworking women that make up our team as part of the ‘Our People’ series of blogs: Rosa Correia. You can read the first one of the series here and the second one here. Rosa Correia is based at our Norwich office, she works as an Accountant, primarily involved in VAT and the preparation of Accounts. Rosa grew up and lived in Portugal for most of her life before moving to the UK, in this short interview we ask Rosa about her experience of making such a huge life change in pursuit of a career in accountancy. You moved to the UK 5 years ago, did you find it difficult adapting to not only a new workplace but also a new country? Rosa: Yes. When I moved I couldn’t speak a word of English, so I found it extremely difficult to communicate, and being in a completely different country came as a massive culture shock. Though when I started my job at Aston Shaw I was made to feel welcome and quickly made friends, which really helped me settle into my new life in England. What prompted you to make the move? Rosa: It seemed to me that there were more job opportunities in England than there was back home, particularly in the field of accountancy. Accountancy being something I’ve wanted to work in for some time, I realised I had to make the move if I was to land a job as an Accountant. What made you choose accountancy as a career? 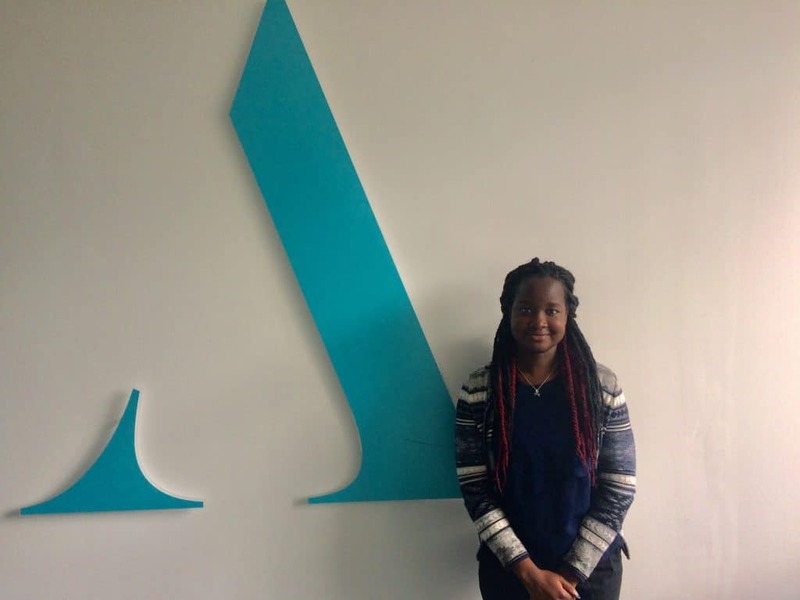 Rosa: At around college age I knew I wanted to work in the financial sector, by the time I was thinking about University I had narrowed it down to accountancy, so I began my degree in accountancy and audit. I really enjoyed the course, so for me it cemented the fact that accountancy was the career for me. Despite the sector being predominantly made up of men, I was not put off of pursuing my career and Aston Shaw never made me feel disadvantaged because of my gender. What advice would you give to those living abroad who are considering moving to the UK to start a professional career? Rosa: The most important thing is to work hard, put in the effort and don’t be afraid to try. If I was to do one thing differently though, I wish I was more fluent in English before coming to live and work in the UK as it did make things difficult, I think the move would have been much easier on me if I had. Having said that, I quickly picked up the language once I started working at Aston Shaw. I am now more than comfortable talking to both clients and colleagues! Finally, have you gotten used to the cold and rain yet? Rosa: NO! And I don’t think I ever will! My girl, keep going I believe in you! Proud of you cousin, keep up your good work! I am very proud of you sister! You have come so far, well done Rosa. Very good! Love you cousin! ❤❤?